DFCS automatically places any substantiated investigation on the Georgia Child Abuse Registry. What does that mean in real terms for real people? What’s the danger? The Child Abuse Registry is so new, such a recent creation, no one can predict what the State will do with it. Can the State change the uses? Modify it? Who knows what changes will come. Fighting placement on the child abuse registry when you receive notice is your only opportunity to challenge placement on the registry. The decision of DFCS about what a preponderance of evidence means is not the final answer though. Two different things happen as a result of a substantiated DFCS investigation. One, DFCS becomes involved with the family where the abuse is said to have occurred. This aspect is covered in another blog post. The second thing: DFCS generates a report and places the alleged abusive person on the state’s Child Abuse Registry. The Georgia Legislature created the Child Abuse Registry. The alleged abusive person will receive notice by certified mail of their placement on the registry and must request a hearing within 10 days of receiving the notice. If a hearing is requested, then an administrative law judge (not the juvenile court judge) will decide whether a preponderance of evidence exists for the alleged abusive person to remain on the list. The hearing requires that DFCS (the respondent) prove by a preponderance of evidence why the alleged abusive person should remain on the registry. The Petitioner (the alleged abusive person) or the Petitioner’s attorney will fight to prevent DFCS from establishing the preponderance of evidence using the well known court rules and rules of evidence. The legislature restricted who can see the Child Abuse Registry, referred to as CAR. 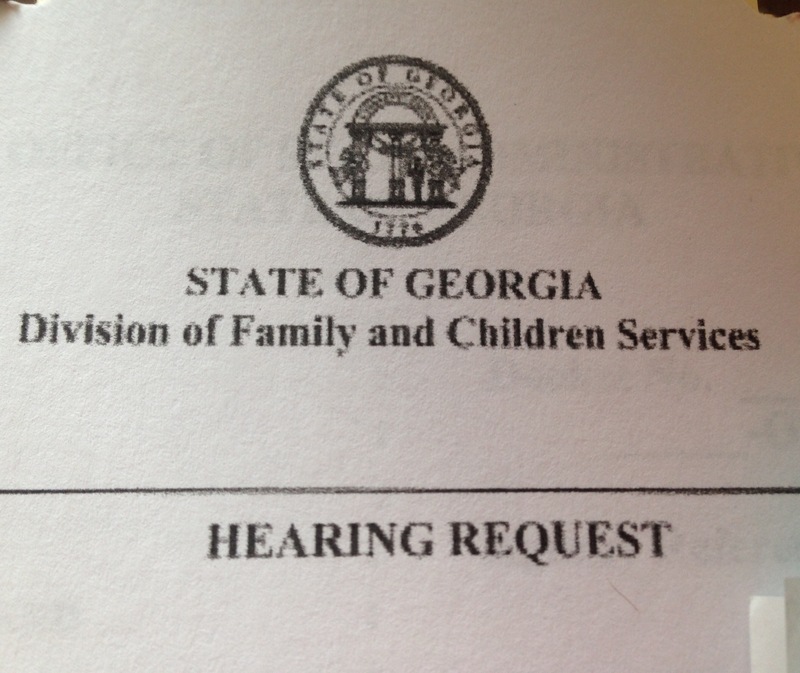 According to Georgia law OCGA 49-5-185, access is limited to, an abuse investigator for purposes of an investigation only, government agencies of any state which provide professional licenses to individuals who work with children or around children, and an to Court Appointed Special Advocate programs for screening volunteers. Being on the child abuse registry could impact licensing by the State for those involved with and planning to work with children. Hiring an attorney and fighting the Child Abuse Registry is important and time sensitive. Once the deadline to request a hearing has expired your ability to be removed will be gone. Having an attorney with experience to handle child abuse registry cases makes a difference.